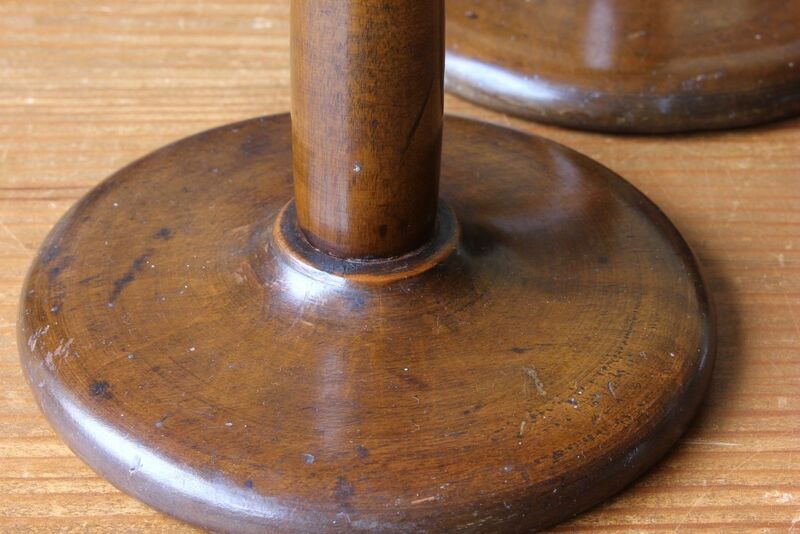 MArt Nouveau Tall Wood Candlesticks. 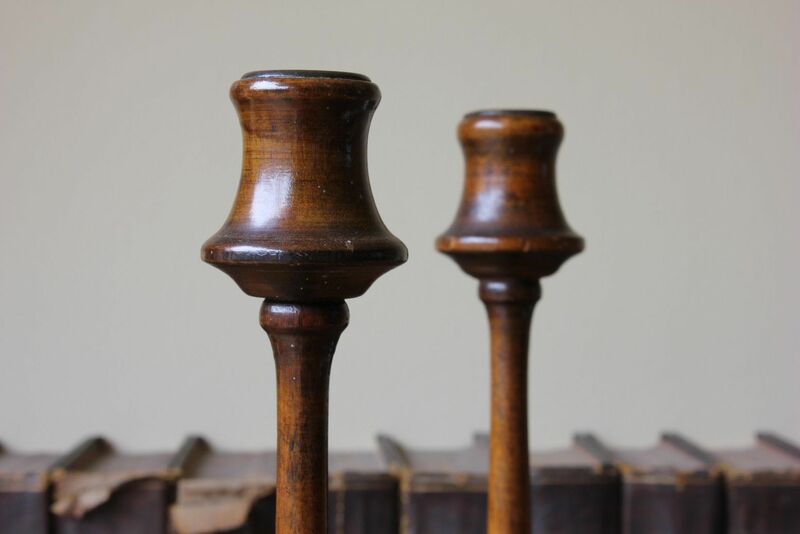 Art Nouveau Tall Wood Candlesticks. 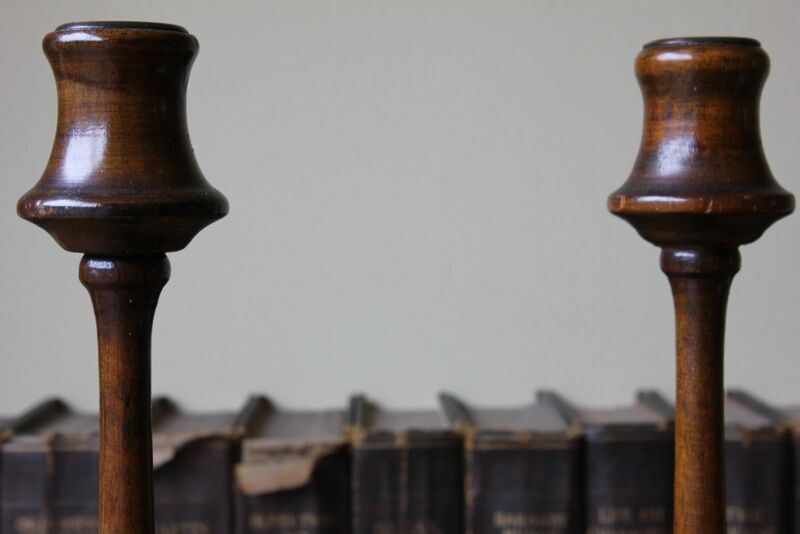 A very stylish and decorative pair of art nouveau candlesticks that have a wonderful patina and look stunning on display. 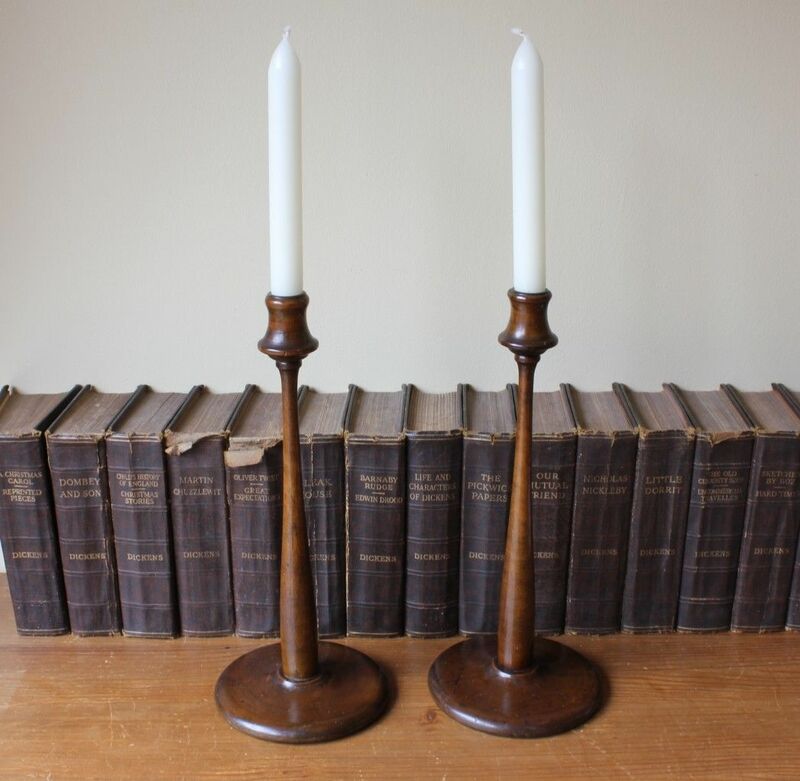 Each one has a central long and thin shaped column and is set on a circular base with a wonderful tulip shaped candle holder top. Height - 31.5 cm (12 1/2") approx. 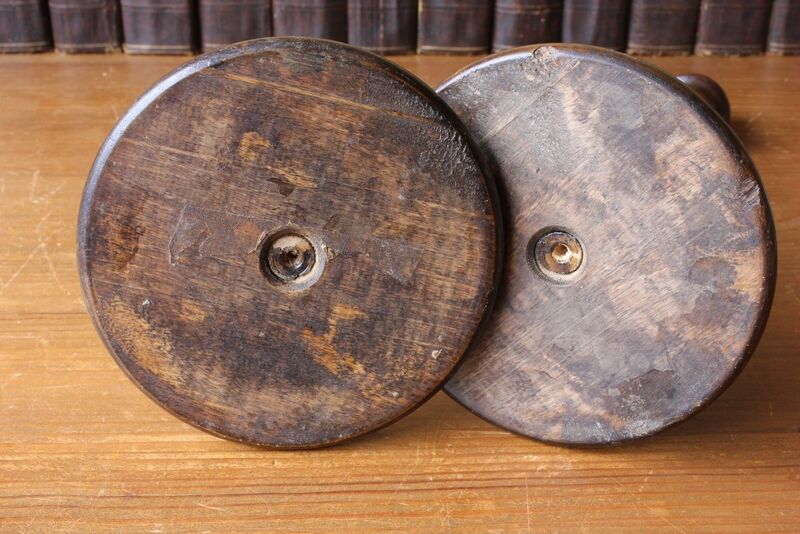 Base diameter - 13 cm (5") approx. Weight: Approx 168 grams each. Condition: Good used antique condition with signs of wear in keeping with age. Some very small chips and light scratches. Please see pictures. 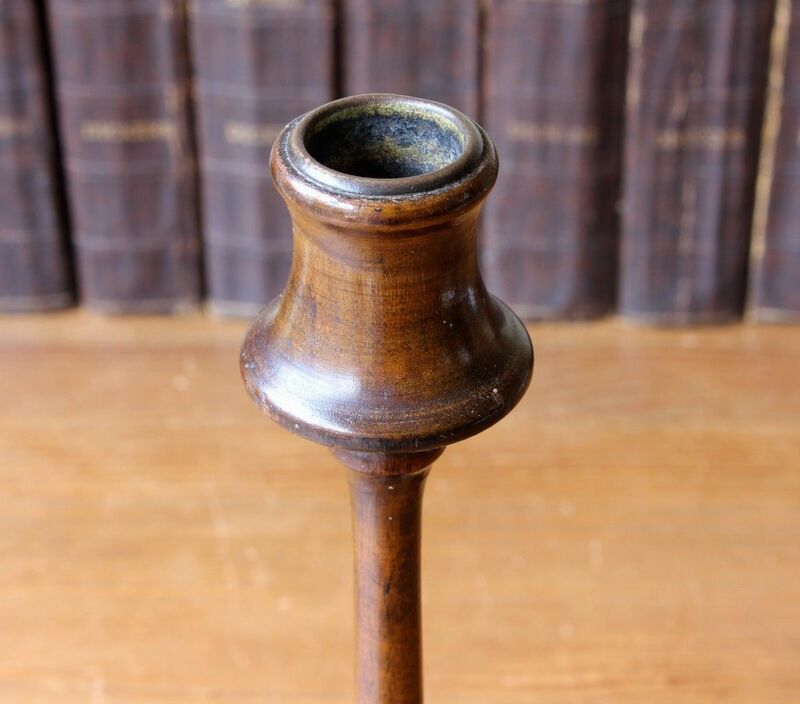 Please note: This listing is for the candlesticks only. Candles not included. 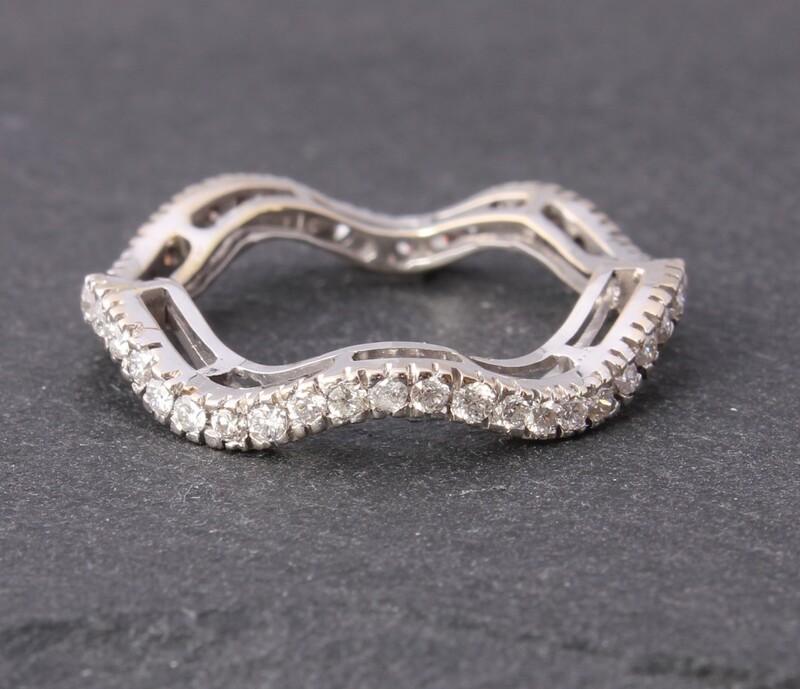 18ct White Gold & Diamond Full Circle Wavy Eternity Ring. 0.65ct. Size K 1/2. 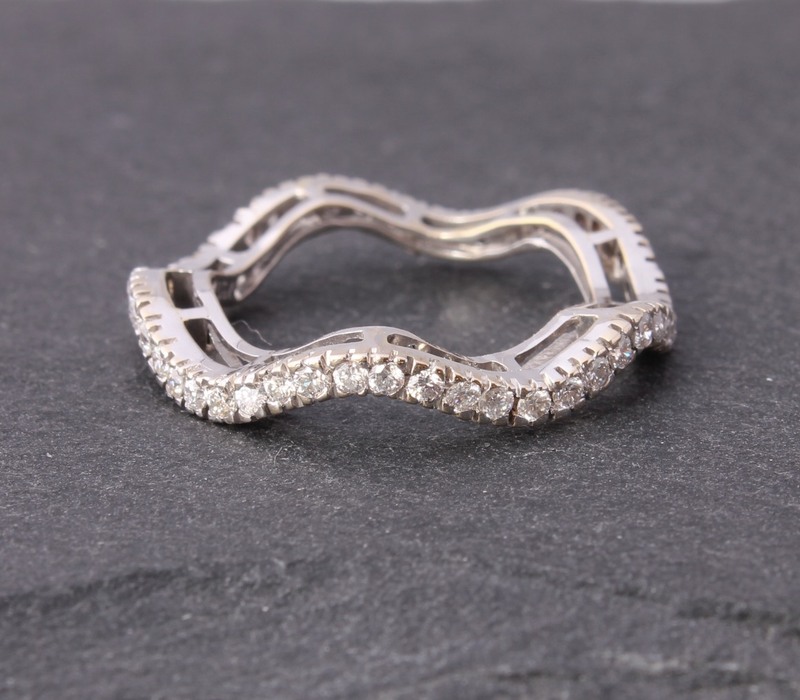 This beautiful full-circle eternity ring is crafted in 18ct white gold and is designed as a brilliant-cut natural diamond undulating wavy line of 0.65 cts. There are 48 diamonds in total which are well matched, bright and sparkly. 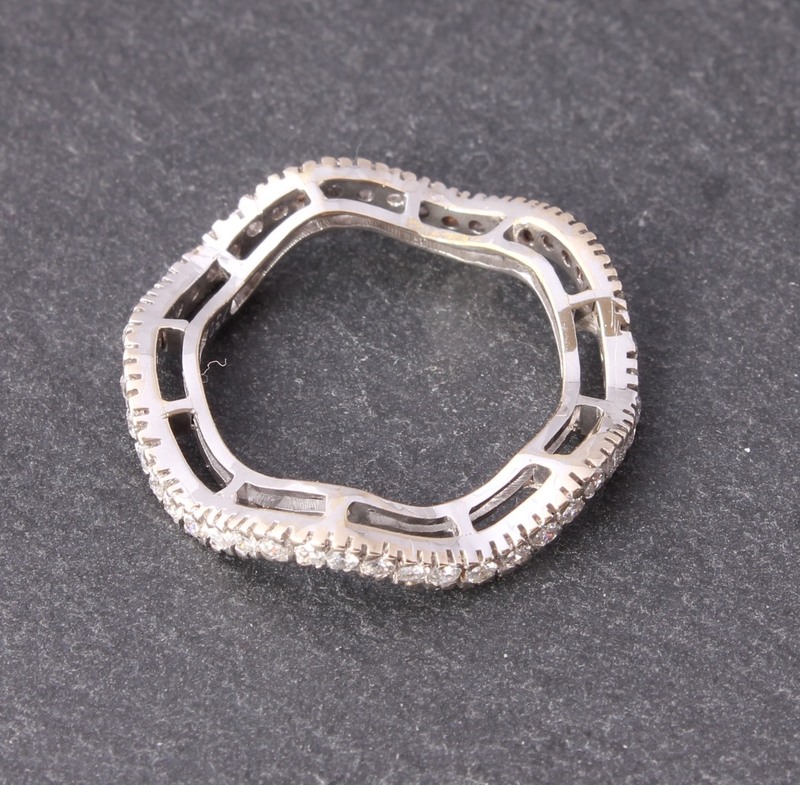 This beautiful and different ring would make a great Eternity or Wedding ring. 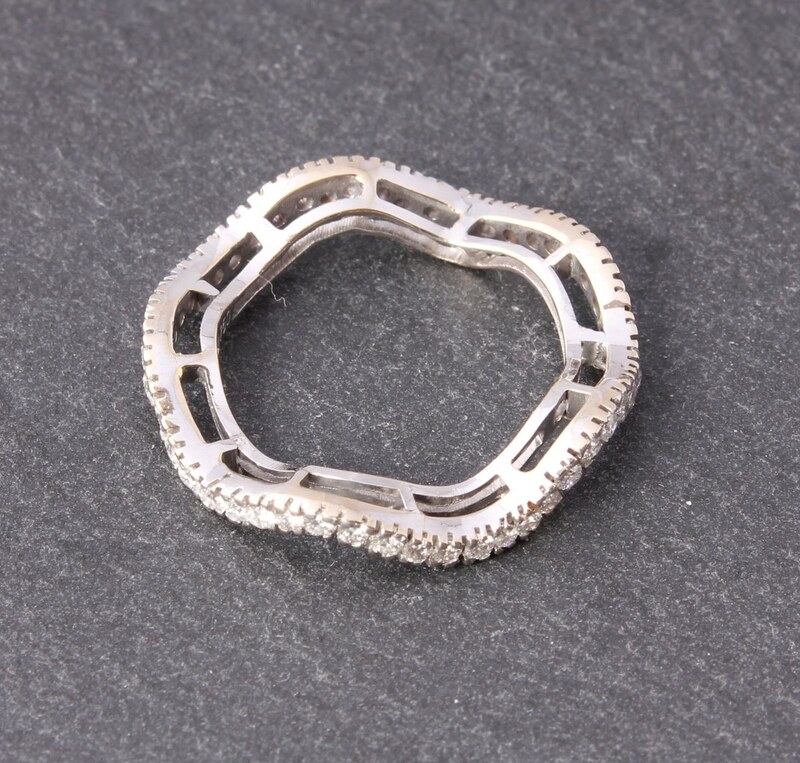 Materials: 18ct White Gold band. Diamonds 0.65ct total. Hallmarked: Crown and 750 for 18ct Gold. 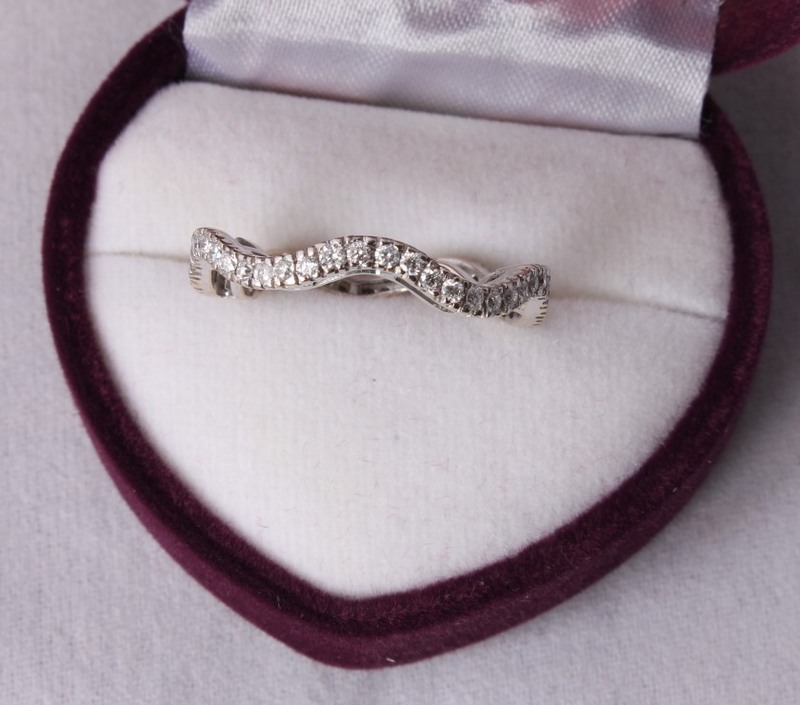 For London and Marked with Diamond Weight 0.65 ct. Condition: Excellent condition with only very light signs of use in keeping with age. Diamonds are well matched and bright. Professionally cleaned and ready to enjoy. Please see pictures. Comes in a ring box.